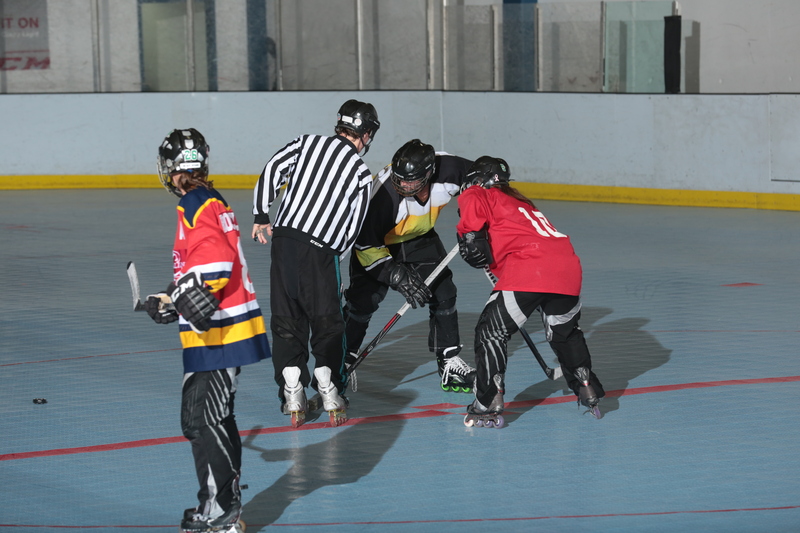 The Coed league is mix of all skill levels, both men and women, playing inline hockey. This league requires two women from each team to be on the rink at all times. It’s a fun game. Usually a lot of husband and wife couples will join a team together. It should be noted that you don’t have to bring a partner with you though.